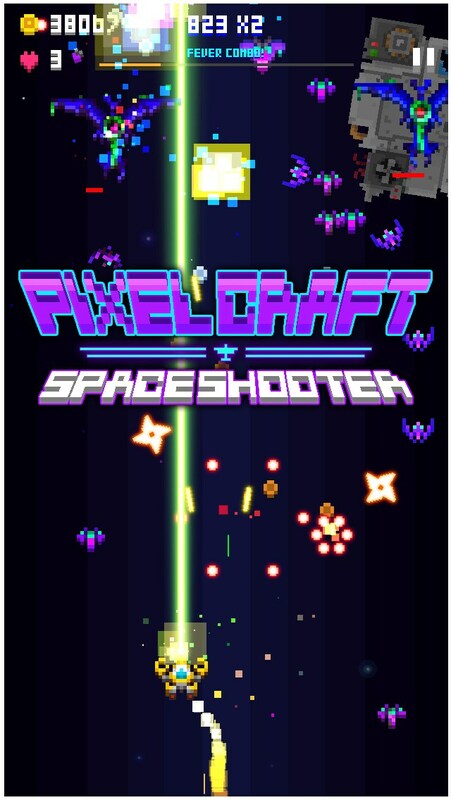 Pixel Craft - Space Shooter – Games for Android 2018 – Free download. 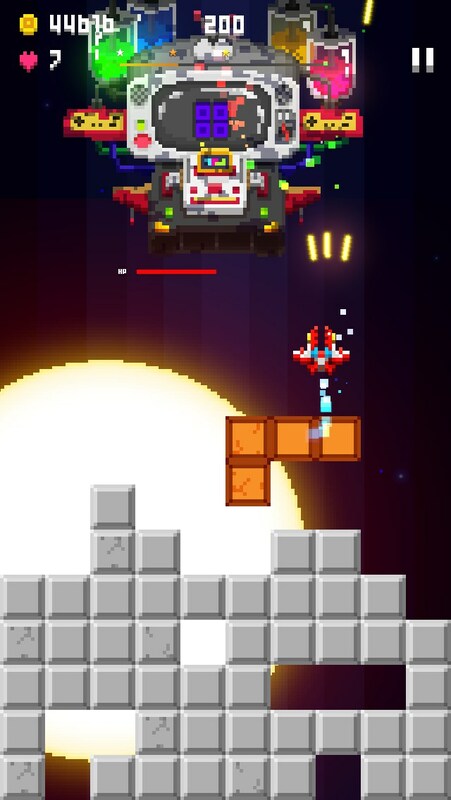 Pixel Craft - Space Shooter – The new shoot'em up on the block. 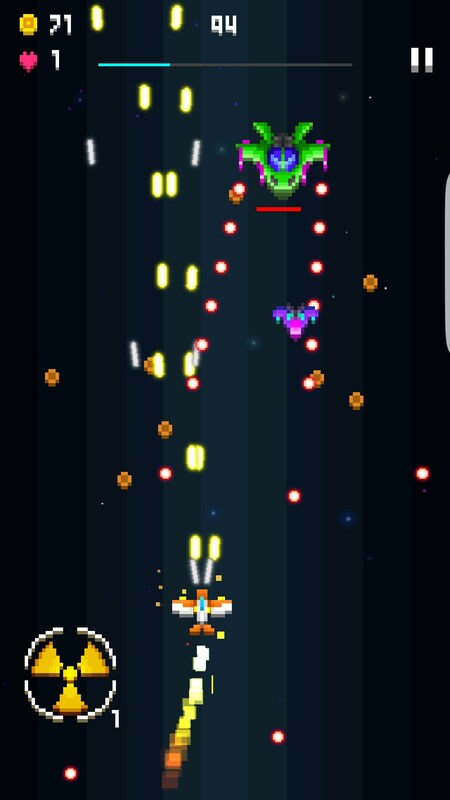 If you think back to some of the first video games you or one of your parents might have played, it was probably Pong, Galaga, Space Invaders or Pac Man. 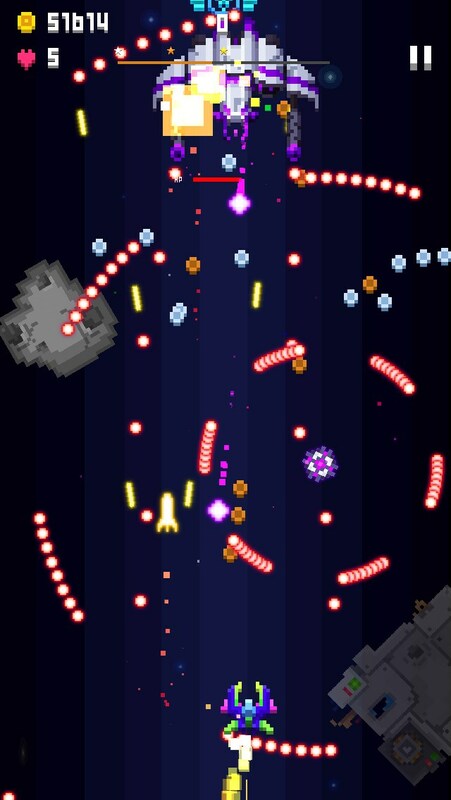 Two out of those three games are shoot’em ups, making it one of the oldest game genres out there and today they’re still just as enticing and hair raising as they were back then. 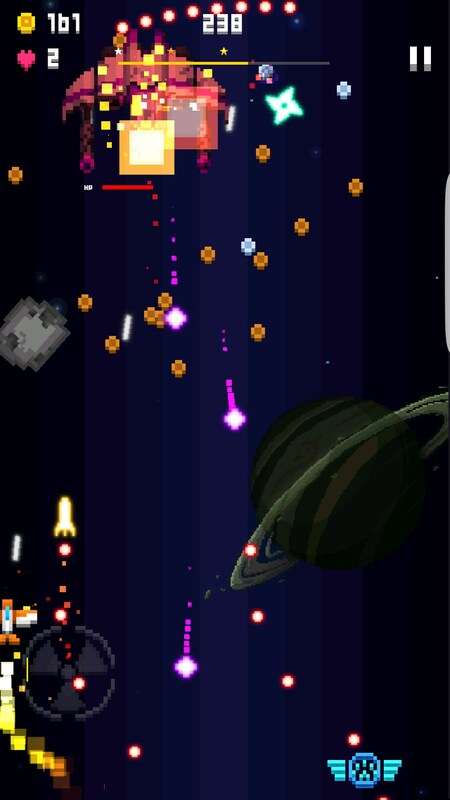 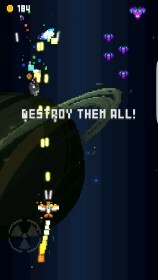 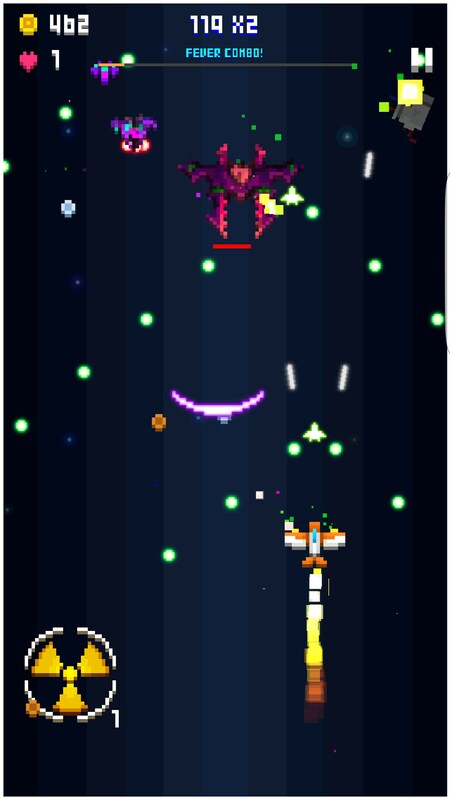 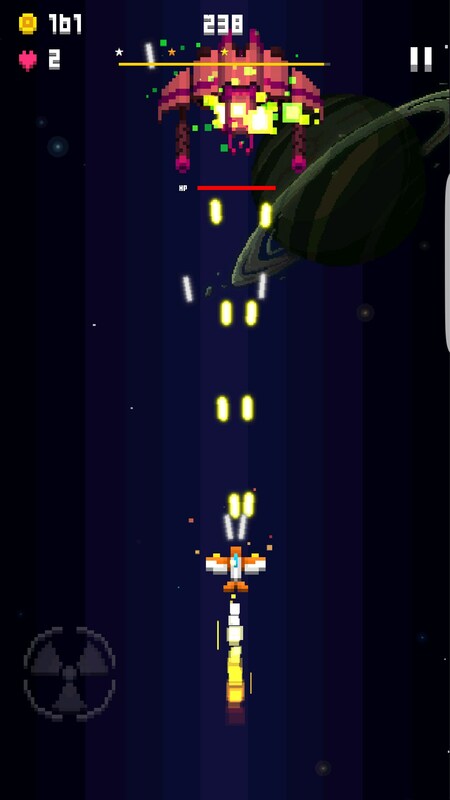 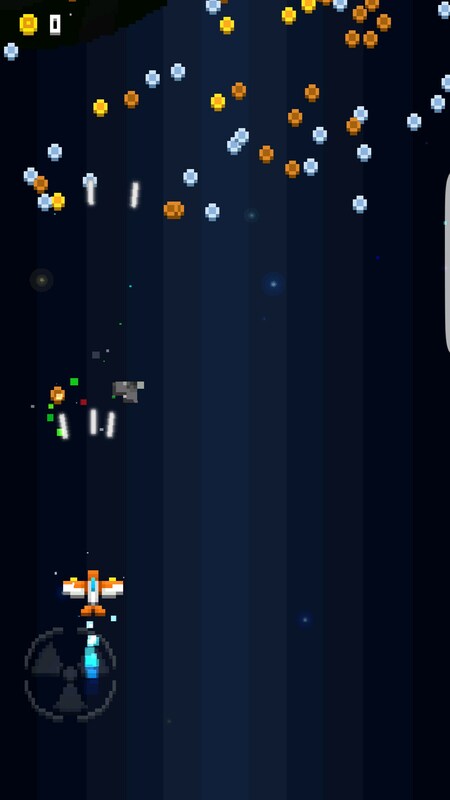 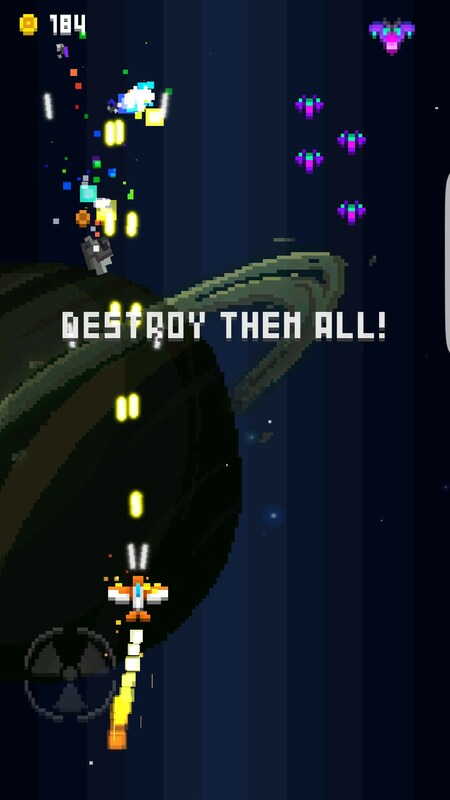 Pixel Craft - Space Shooter for Android is a new shoot’em up that brings the genre back to its roots. 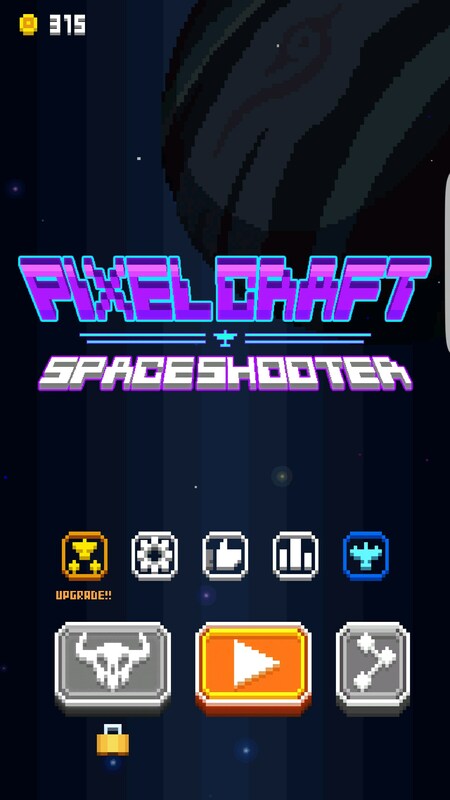 Just like games in the genre before it, Pixel Craft is a great throwback to some of the originals. 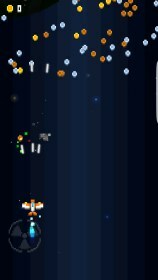 A plain black background scrolls endlessly as enemy spacecraft, asteroids and other space debris populate the screen with obstacles to avoid. 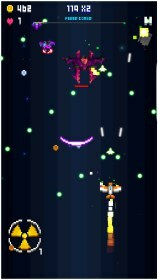 Periodically mini-bosses will pop up that need to be dealt with before they can cause too much damage, and the end of every level is always greeted with a boss. 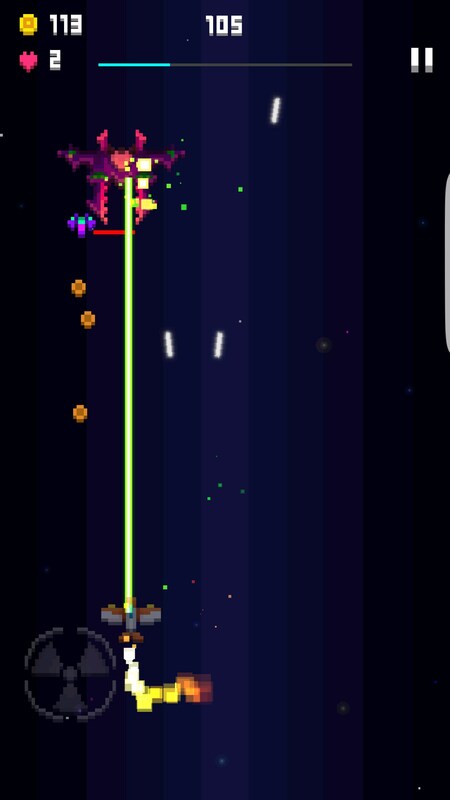 The game’s controls do present a bit of a problem. 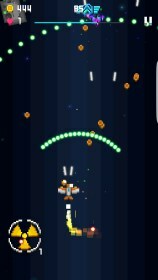 Your ship shoots automatically, but you still have to drag your ship across the screen with your finger to move it. 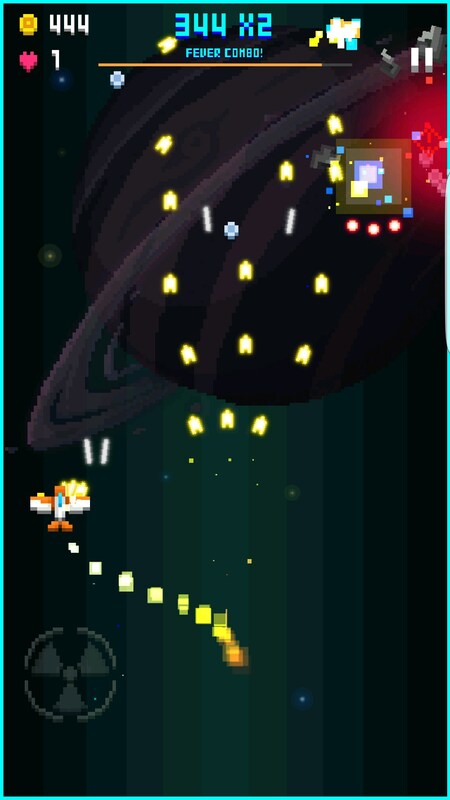 The problem this presents is having valuable screen real estate blocked from view because your finger is in the way. 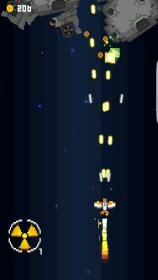 In a bullet hell game like this, it can make the game almost unplayable because you never really know exactly where your ship is. 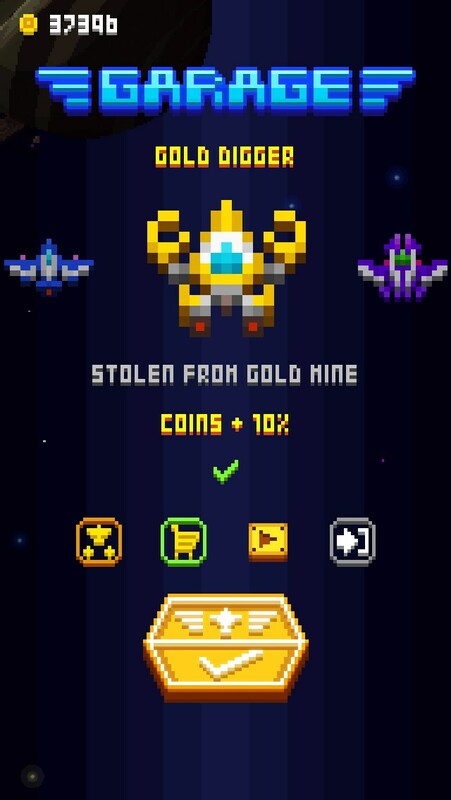 As you progress through the game, you’ll earn coins that can then be traded in for new ships or upgrades. 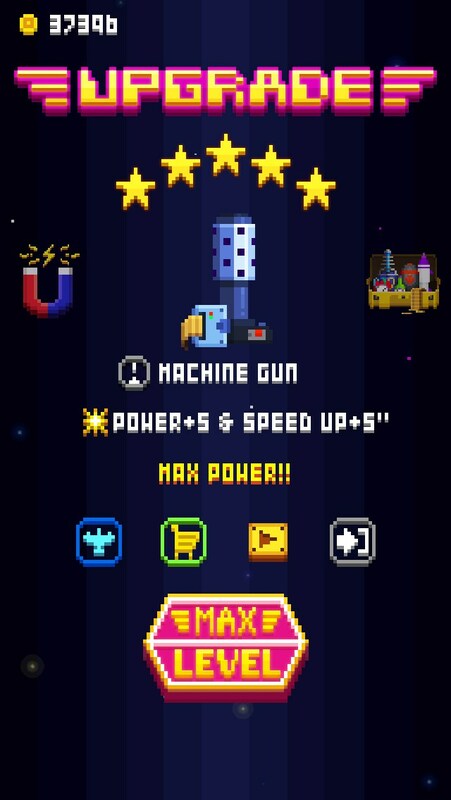 In order to progress, you’ll need to unlock these upgrades and get further and further through the game. 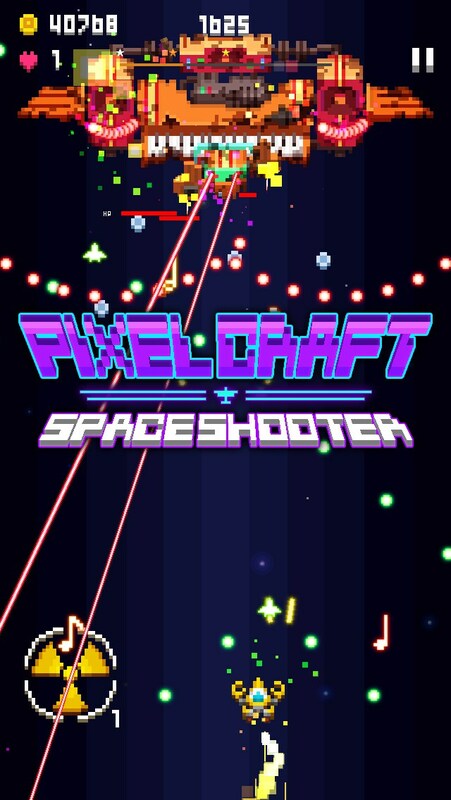 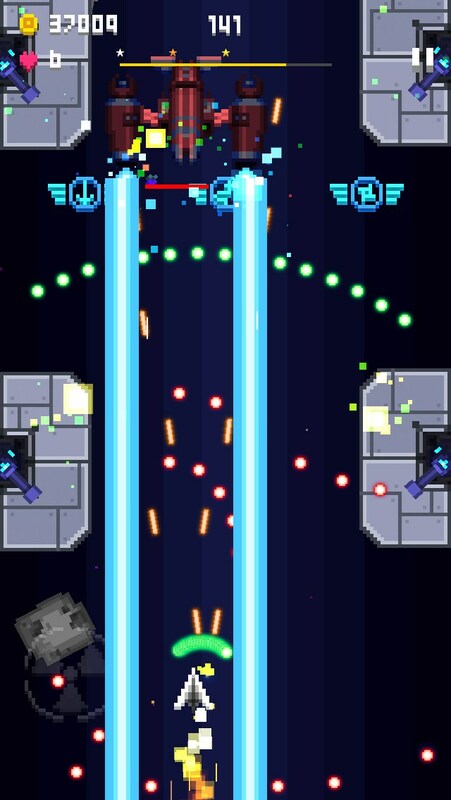 Pixel Craft - Space Shooter is a pretty generic shoot’em up. 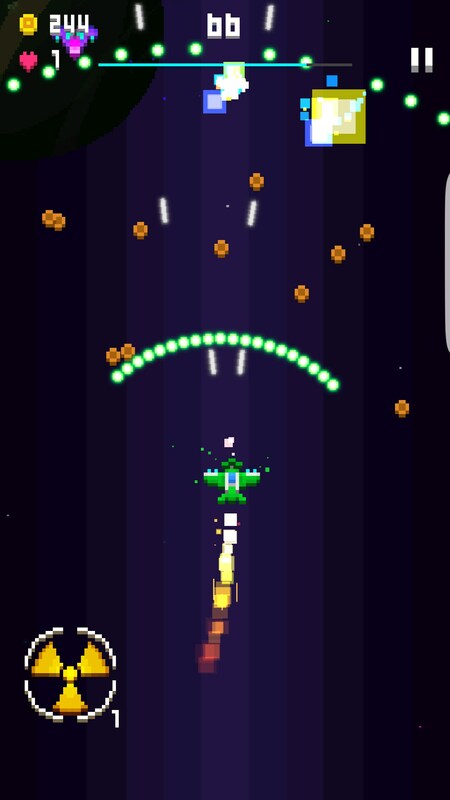 It doesn’t really bring anything new to the table and the controls are questionable, but the game is still worth taking a look.